Study of Novartis Access program in Kenya demonstrates it is possible to evaluate major pharmaceutical companies' access programs using robust, 'gold standard' methods. Iron accumulation in myocardial cells, potentially resulting in heart failure or fatal arrhythmia, is one of the complications most feared by patients with thalassemia major, a hereditary disease also known as Mediterranean anemia. Kitov Pharmaceuticals, an innovative biopharmaceutical company focused on late-stage drug development, today announced more data from its successfully concluded Phase III trial for its lead drug candidate, KIT-302. Data showed the favorable blood pressure effects of KIT-302 were present in all blood pressure variables measured in the study. Kitov Pharmaceuticals, an innovative biopharmaceutical company focused on late-stage drug development, announced today that the Phase III, double-blind, placebo-controlled clinical trial for its leading drug candidate, KIT-302, successfully met the primary efficacy endpoint of the trial protocol as approved by the U.S. Food & Drug Administration (FDA). Mylan N.V. today announced the U.S. launch of Amlodipine and Valsartan Tablets, 5 mg/160 mg, 5 mg/320 mg, 10 mg/160 mg, 10 mg/320 mg, which is the generic version of Novartis' Exforge Tablets. Par Pharmaceutical Companies, Inc. today announced that it has begun shipping all four strengths of amlodipine and valsartan tablets, the generic version of Novartis' Exforge. Par received final approval from the U.S. Food and Drug Administration for its Abbreviated New Drug Application for amlodipine and valsartan and was granted 180 days of marketing exclusivity. Symplmed announced today that the U.S. Food and Drug Administration has accepted for review its New Drug Application (NDA) for investigational drug Prestalia, the first single-pill, fixed-dose combination (FDC) of perindopril arginine and amlodipine besylate for the treatment of hypertension in the U.S. Symplmed filed the application under section 505(b)(2) consistent with FDA's guidance. 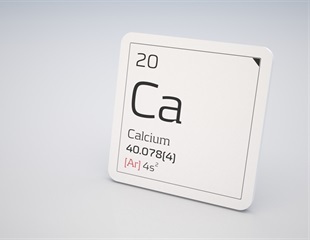 Dr. Reddy's Laboratories announced today that it has launched Amlodipine Besylate and Atorvastatin Calcium Tablets 2.5/10mg, 2.5/20mg, 2.5/40mg, 5/10mg, 5/20mg, 5/40mg, 5/80mg, 10/10mg, 10/20mg, 10/40mg and 10/80 mg a therapeutic equivalent generic version of CADUET (amlodipine Besylate and atorvastatin calcium) tablets, in the US market on March 26, 2014, following the approval by the United States Food & Drug Administration. Among older adults taking a calcium-channel blocker, simultaneous use of the antibiotic clarithromycin, compared with azithromycin, was associated with a small but statistically significant greater 30-day risk of hospitalization with acute kidney injury, according to a study published by JAMA. The study is being published early online to coincide with its presentation at the American Society of Nephrology's Kidney Week 2013. Low BMI is a risk factor for CVD in hypertensive patients with diabetes, according to research presented at the ESC Congress today by Dr Takanori Nagahiro from Japan. The findings provide evidence for an obesity paradox in hypertensive patients with glucose intolerance. Diuretic-based antihypertensive regimens may be preferable to calcium channel blocker-based therapy in patients who are obese, suggest researchers writing in The Lancet. According to new research published Online First in The Lancet, body mass index (BMI) may influence which blood pressure medications work best at reducing the major complications of high blood pressure (strokes, heart attacks, and death). The results of the first trial to administer the polypill on the basis of age alone has shown the largest reductions in blood pressure and cholesterol level of any polypill trial to date, researchers report.